Once Upon a Twilight! 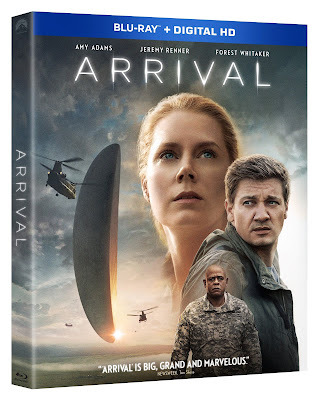 : Time to Get Your Copy of #Arrival + Giveaway! Time to Get Your Copy of #Arrival + Giveaway! I am so excited to announced Arrival is out today! So if you enjoyed watching this movie on the big screen, be sure to purchase your copy. In celebration of the release, Paramount has granted us a copy of Arrival DVD for a giveaway to one lucky reader of this blog. To enter for your chance to win, enter below on the rafflecopter. Good luck!